Camil Samaha is the security and compliance leader for Amazon Web Services’ World Wide Public Sector (WWPS) team. Mr. Samaha leads a team of security professionals who provide evangelism, strategic guidance, knowledge transfer, and technical counsel to government and education customers around the globe. Since joining AWS in 2011, Mr. Samaha has held various technical leadership roles, shaping and delivering integrated cloud strategies for public sector customers and partners, and enhancing their security posture and capabilities. 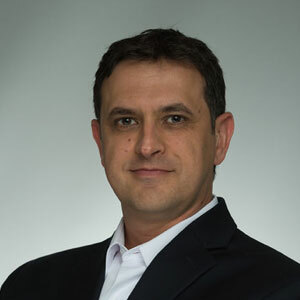 Prior to joining AWS, Mr. Samaha served Intrex Inc. for thirteen years as Vice President and Chief Technology Officer. He was responsible for the successful execution of the company’s business mission through the development and deployment of the technical infrastructure and services. Prior to Intrex, Mr. Samaha worked for Thomson Technology Services Group and Johns Hopkins University Applied Physics Laboratory for six years as a Senior Network Engineer. He graduated, with honors, from North Carolina State University with a Master of Science and a Bachelor of Science in Electrical and Computer Engineering in 1991 and 1990 respectively.